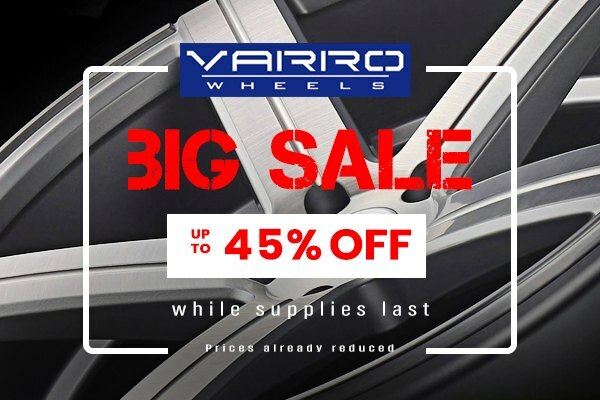 Save up to 45% off with Varro at CARiD - Massive Rims Sale! If you're searching for a new set of reliable and good looking rims and got confused with hundreds of options the market has to offer, do not worry, CARiD is here to help you out. When we talk about rims which make the difference between ordinary & legendary, Varro brand is probably the first one that comes to the mind. Varro company is one of the world’s leading manufacturers of the high-end luxury and performance wheels that above all has TUV approved certification. Their rims are made with the strictest quality standards in mind from the finest quality materials to ensure everlasting durability and jaw-dropping design. Save up to 45% off the original price on a purchase of Varro Wheels at CARiD.com. Get your vehicle equipped with the set of rims it deserves. This offer is valid while supplies last. Prices are already reduced. Get your next set of Toyota Camry tires at CARiD.com. Take a chance to save 40% OFF on K Source Products! Quick Reply: Save up to 45% off with Varro at CARiD - Massive Rims Sale!